The Wild Treats Juice & Dessert Bar, like Verde Restaurant, is aligned with the health-conscious nutrition philosophy of PachaMama. It is a unique snack bar which serves freshly made, mouthwatering drinks, snacks, chocolates and desserts made with local, organic, raw and fresh products. Many items on the juice & dessert bar menu include superfoods. No artificial flavorings, preservatives, colors or chemicals are added to any of the items on the menu – everything is 100% natural. 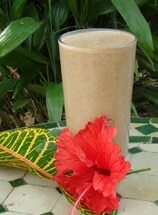 Wild Treats’ rich and nourishing smoothies have become many people’s alternative to breakfast. Other, lighter beverages include coconut water and fresh fruit juices such and highly nutritious drinks like the Vitamin C drink, made from oranges, strawberries, aloe vera and passion fruit. 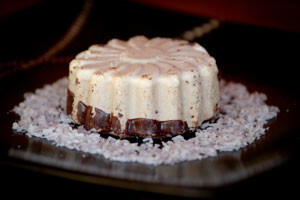 An assortment of raw chocolate and irresistible desserts, cakes, ice creams and cookies, are always available. Light raw vegan meals are prepared and served daily, as an alternative to cooked foods. The Wild Treats Cacao Bar is a popular meeting point for people with high food consciousness. It also supports the Body Cleanse participants in maintaining a healthy diet during and after the cleanse. Blend again, add coconut water and ice to taste. The main ingredient of the Wild Treats is the raw organic cacao bean. Being introduced to raw cacao was a major revolution in PachaMama’s culinary climate. Inspired by the pre-Columbian tradition and the raw movement, unprocessed chocolate with its incredible nutritional benefits became a major ingredient in snacks, desserts and drinks. The popular cacao shot, homemade chocolate, desserts and smoothies were all inspired by this amazing superfood that grows abundantly in the area. Other powerful superfoods are continuously explored and used in desserts and in smoothies: fresh coconut, maca root, hemp seeds, mineralized salts and bee pollen, to name but a few. The Aztecs attributed the creation of the cocoa plant to their god Quetzalcoatl who descended from heaven on a beam of a morning star carrying a cocoa tree stolen from paradise. They believed that wisdom and power came from eating the fruit of the cocoa tree, and also that it had nourishing, fortifying, and even aphrodisiac qualities.